We have a great way to start off October, and that is with a big giveaway for Original Greeting Tags Giveaway. 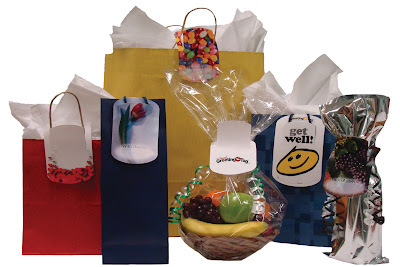 Or if you want to use the bag and tags in other ways, you can easily use them in other ways as party favor bags. And its customized b/c it can have your name and wedding date printed on them! The Original Greeting Tag Company has many different ways you can make your favors green, or greener and different and unique ways to help make your wedding be original! Keeping easy simple and simple easy, the Original Greeting Tag Company has made creating party favors an easy way to say a simple message! THREE (3) prize of 100 Table favor Bags and Mini Tags will be given out. 1. Go to Original Greeting Tags and peruse the site. 2. Come back here and comment on which product you like best and how you would use them. Fan Original Greeting Tags on Facebook AND comment here that you have Fanned them as a separate comment entry! 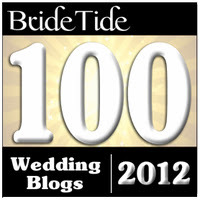 Repost on your blog AND comment here that you have done so as a separate comment entry with the post link! 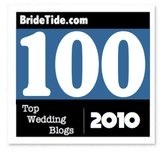 Tweet about it AND make sure you put @relentlessbride (make sure the @ mention is in there) in the tweet AND use this link (http://ow.ly/smyw)! The contest will run from October 1 - October 14th 11:59 PM EST. i love the wine and spirits set. we would use them for our winery-themed rehearsal dinner! The Original Greeting Tag would be great to use on our favors that will also show name and table for guests. The table favor bags and tags would be great to put our DIY edible favors in! I really like the "A Lifetime of Love" design. Also am a fan on facebook. I joined the Facebook group. I love the silver mylar bags. What a creative favor that could also serve as place settings. 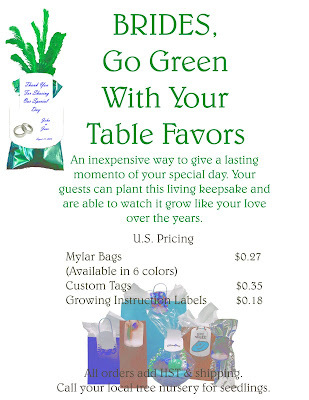 I love the "From this day forward" tags and the silver and blue table favors bags & tags set. I would use them for our wedding favors and fill them up with goodies. The mylar bags would be super cute with little plants put in them! I'd love to fill some of the table favor bags with peanut butter cups and use them as place cards. The original greeting tag would be nice to use for my wedding favors. I really like the Original Greeting Tag - it's so versatile! I hope I win these wonderful, versatile bags! I can go greener by reusing them over and over again! I have already began my list of things I can do with these table favor bags and mini tags! Please please please, pick me! Haha. I would love to use the bags for our candy buffet and print a label on the tags with out initials or with a nice quote. Go Green! i think the green table favors are a brilliant idea. The ribbon curls are so fun and pretty, id probably dress up my tableware with them. The trees are a fabulous, responsible idea. Love it, thank you so much for sharing. Love the plant idea! Great job in suggesting this! the original greeting tag is great. Very simple but nice. I like the "Go Green" tree favors: I could see using those in a church dinner--as a way to renew faith as well as the earth. I would love to use these for the little seedlings we plan to give. the favors being Green make them even more appropriate! The wine bottles tags are really cool and can be used for some of our special bridal party and family gifts! I'd definitely use this for my wedding favors. Personalize it with a note! TY! Really like the wine tags and can use them for our wedding favors. 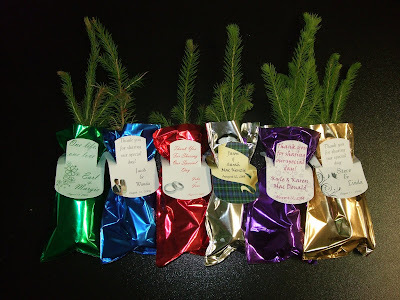 such a great idea for eco-friendly favors! I like the Wine & Spirits Tag Kit 5 Pk- I would use this to give win gifts to friends and family! I'd definitely use this for my wedding favors and place card to save money! I like the Toast Toppers, especially because you can customize it with a graphic that captures the spirit of the event and location. I love the plant seedling ideas as well!! The Original Greeting Tag is so versatile - I bet I can use them for the small custom candles I intend on giving out at favors at my reception this Christmas! I'd like to fill it with M&Ms. I saw a couple who had an image of them in black and white etched onto the candy- think that would be perfect to put inside the bags as a favor! The Wine & Spirits Set is perfect for any occasion, but especially classy for table favor gifts. The wine and spirit tags are a great idea. Will definitely be ordering some for Christmas.